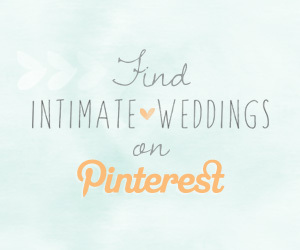 With all the overwhelming aspects of planning a wedding, it’s nice to add some simplicity to your life. 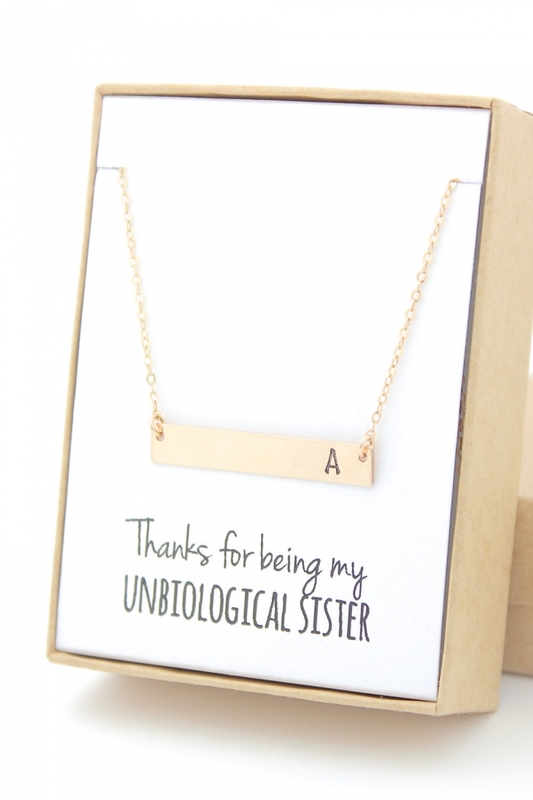 These 12 minimalist jewelry pieces from Etsy for your bridesmaids (or you!) 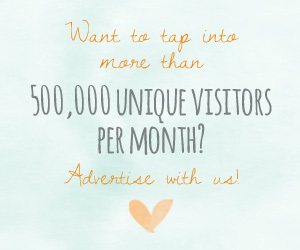 will match most outfits, and are great gifts. 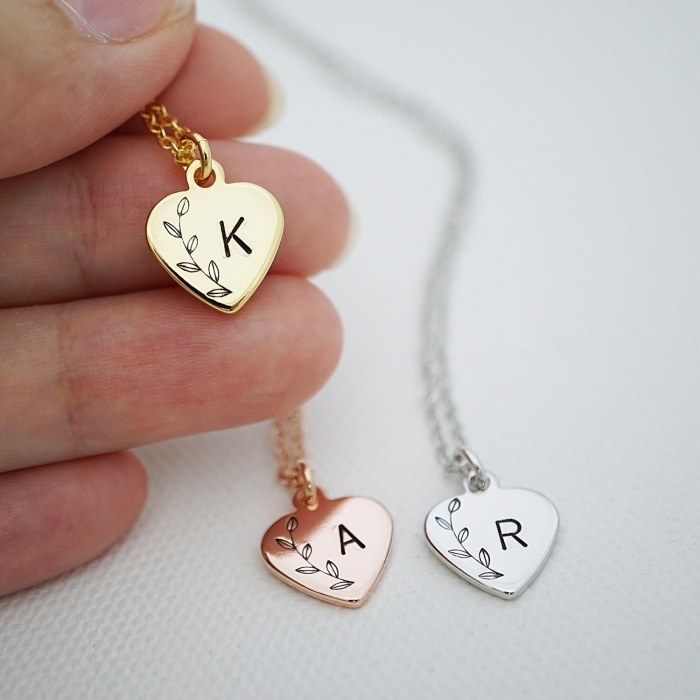 Let your bridesmaids know you care with these personalized heart necklaces from earringsnation. 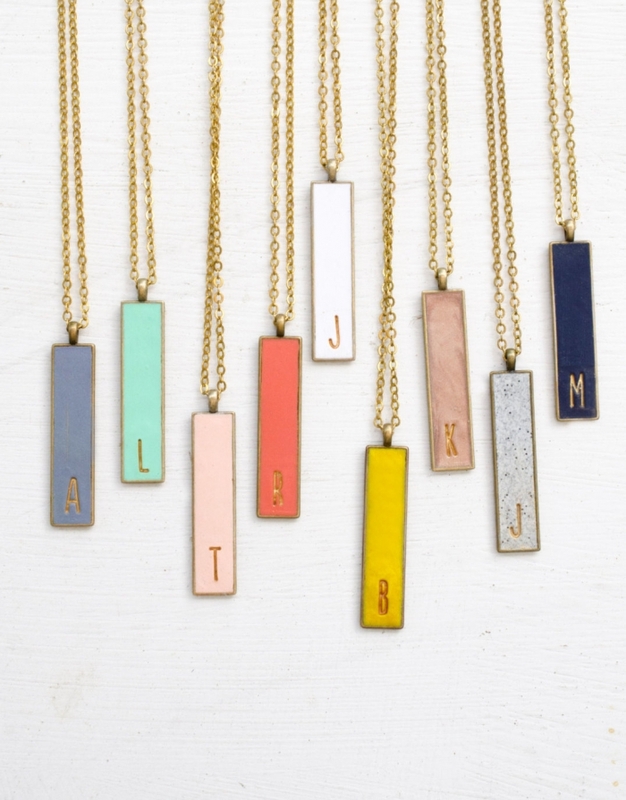 This simple, personalized necklace from ForTheMaids is a sweet way to say thank you. 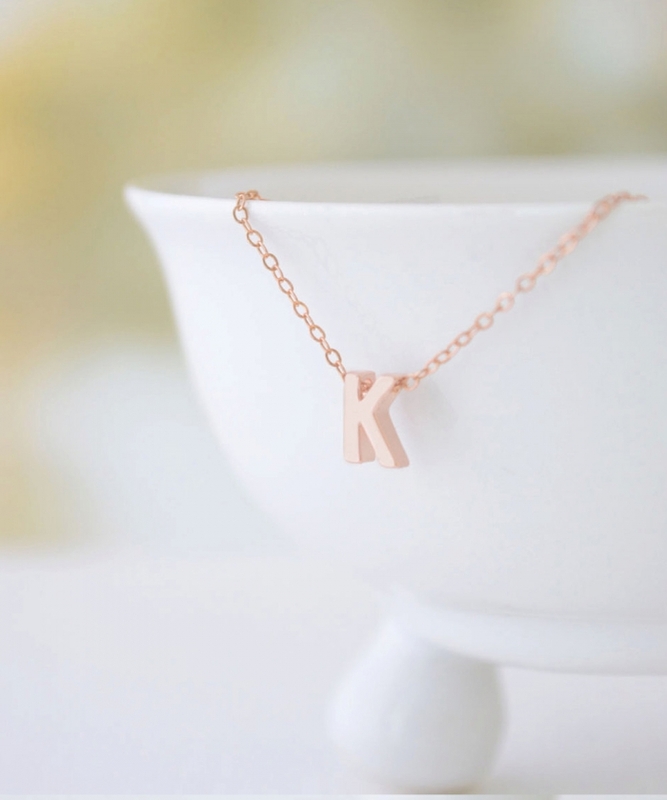 Give this tiny rose gold initial necklace from OliveYewJewels as a bridesmaids gift. It will be worn time and time again. 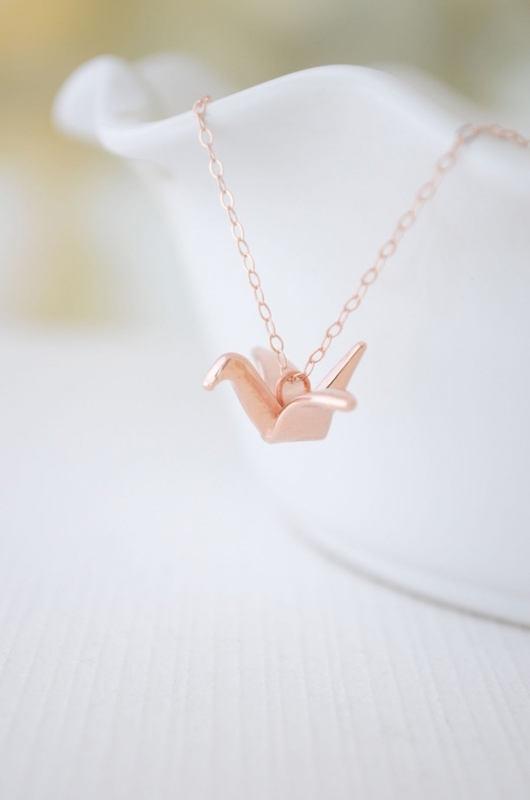 The crane is a symbol of both happiness and eternal youth, so there is not a better gift than this rose gold crane necklace from OliveYewJewels for your bridesmaids. Raw quartz is such a beautiful stone. 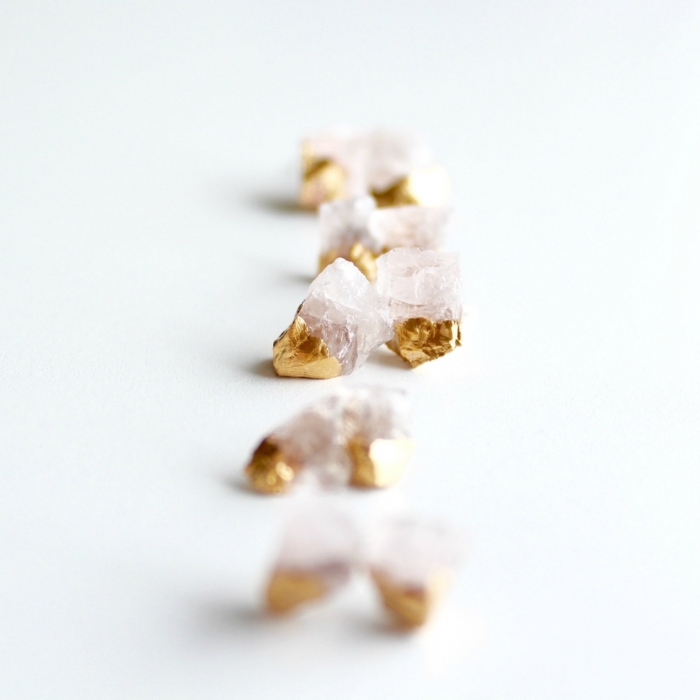 These earrings from Borcik, dipped in gold leaf, are under $20! 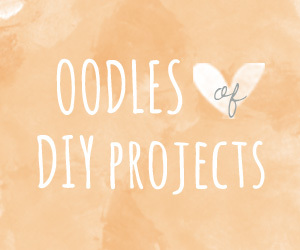 Stylish, handmade and personalized – what’s not to love about these single initial clay necklaces from JillMakes? 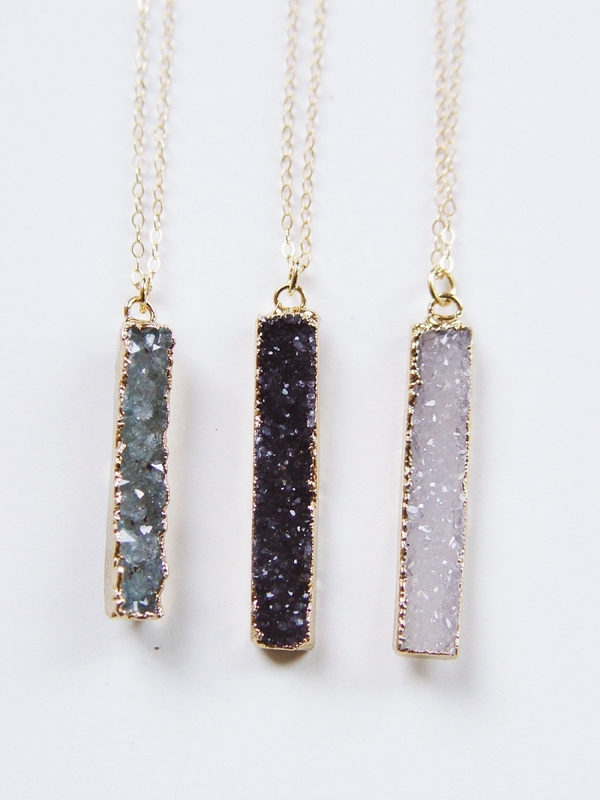 Your bridesmaids won’t be able to take their eyes off these stunning druzy necklaces from friedasophie. Geometric jewelry makes any outfit pop! 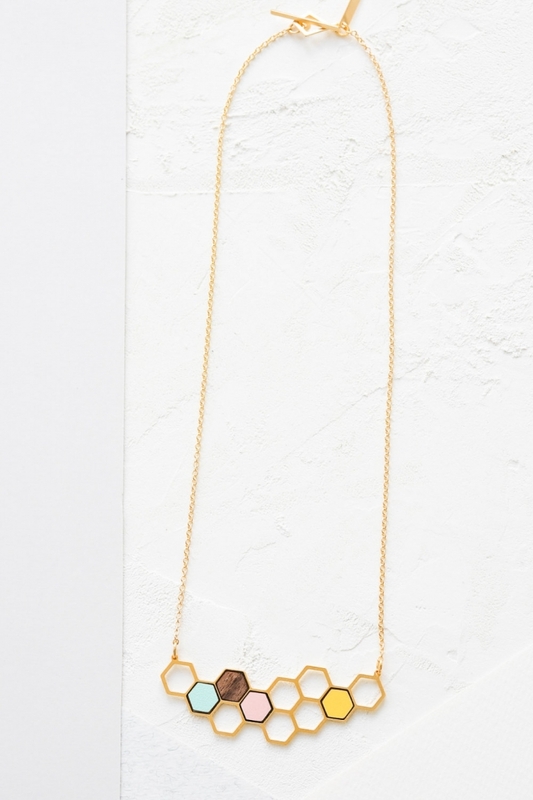 This Scandinavian inspired necklace from ShlomitOfir is a charming way to thank your bridesmaids. Stacking rings are a must for anyone who even remotely likes jewelry. 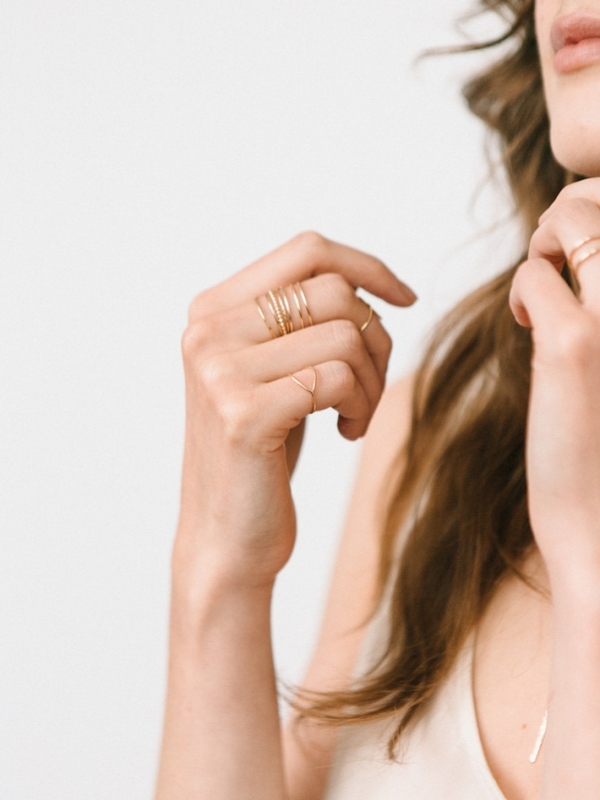 These dainty gold stacking rings from GLDNjewelry are very versatile. They can be worn on their own, or paired with an assortment of rings. 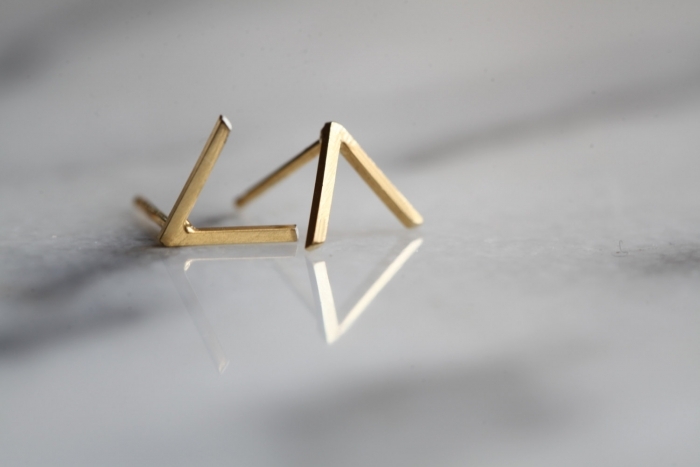 Any minimalist will love these mountain studs from LUNATICART. 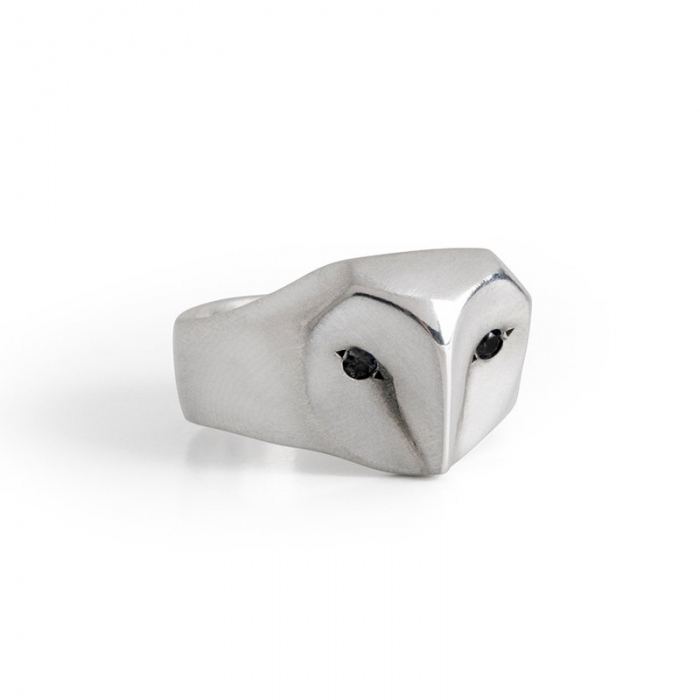 This sleek sterling silver owl ring from ElinaGleizer adds a moderns flair that will dress up any outfit. Simple does not mean boring. 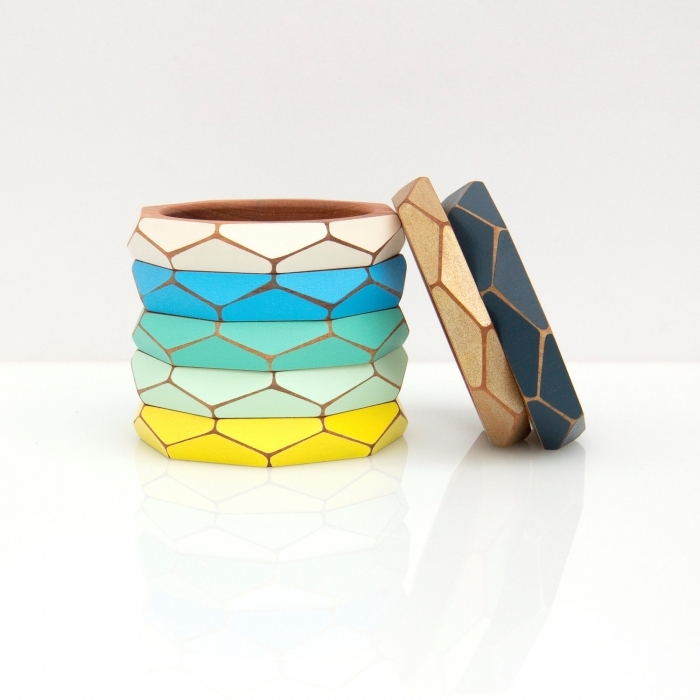 These geometric wooden bangles from GwynethHulseDesign prove that!